GOVERNOR Lilia Pineda on Monday, February 11, ordered all local health offices to intensify the massive vaccination and information dissemination campaign against measles amid the reported 137 cases and five measles-related deaths. Out of the 14 reported deaths, five have been confirmed as measles- related. Governor Pineda also strictly ordered for the transfer of infected patients to the newly constructed Diosdado P. Macapagal Memorial Hospital Annex in San Luis for close monitoring, observation and examination to prevent the disease in becoming a full-blown epidemic. The lady governor reiterated to the public the importance of vaccination adding that the measles vaccine is safe and free. According to the Department of Health (DOH), there is an unexpected increase in the number of affected children in the province compared to 2018. The DOH’s Regional Epidemiology and Surveillance Unit (RESU) said that there are 437 cases and six deaths reported in Central Luzon from January 1 to February 7 this year, compared to only 32 cases with no death during the same period last year. Of the seven provinces in Central Luzon, Bulacan has the highest number of measles cases with 144, followed by Pampanga with 137; Tarlac with 89; Bataan with 27; Zambales with 23; and Nueva Ecija with 18. The province of Aurora had no measles case. The DOH earlier warned that 2.4 million unvaccinated children are at risk of contracting this highly infectious disease. 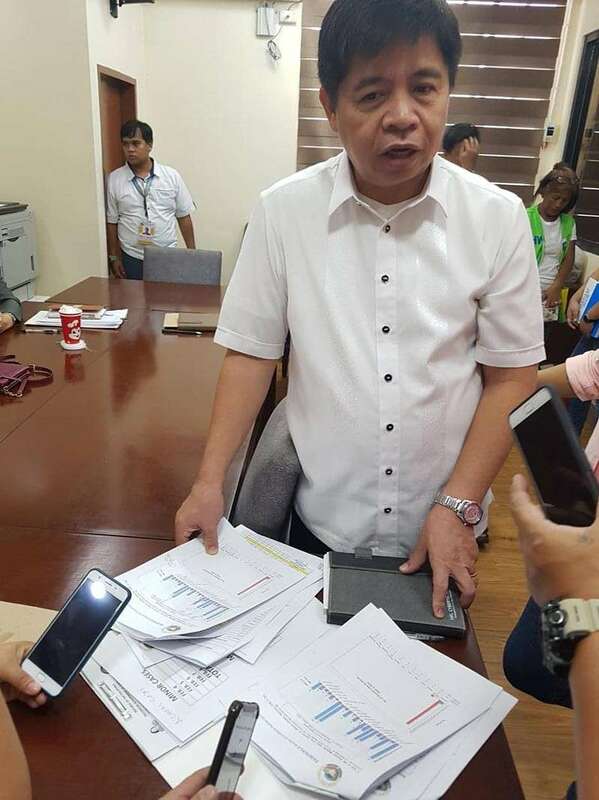 Meanwhile, Jaochico urged parents of newborn babies to go to the nearest health centers and have their children vaccinated against this infectious disease. He also said that the local government of Pampanga supports the house-to-house immunization campaign conducted by the DOH in the region. Measles is a highly infectious and communicable disease caused by a virus. This can lead to complications, such as blindness, encephalitis, pneumonia, diarrhea and even death if not properly managed. Early symptoms includes high fever, cough, conjunctivitis and colds.